ST. JOHN’S, N.L. 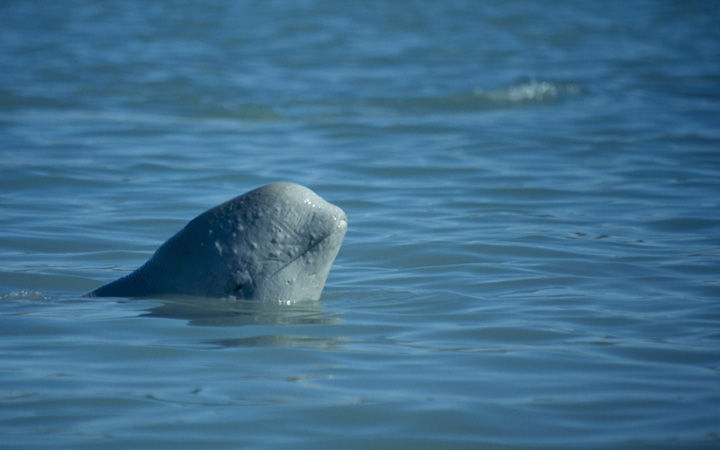 – The federal Fisheries Department is investigating reports that people in eastern Newfoundland have been trying to lasso and ride a beluga whale that has been frequenting the area around Grates Cove. The white whale has been attracting a great deal of attention in recent weeks. It has been spotted swimming with divers and, in recent days, there have been reports of people trying to ride the animal. Federal research scientist Garry Stenson says signs are being posted in the area warning people to stay clear of the whale for its own safety. He says once belugas become accustomed to human interaction there’s a high risk of serious injury or death for the whale. Stenson says that in 2002 a beluga that had become used to people in the Calvert area was killed when it was hit by a boat propeller.